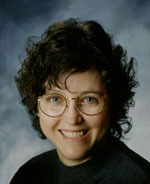 Space enthusiast, former math teacher, and award-winning nonfiction author Loretta Hall received the Communicator of Achievement Award from the National Federation of Press Women (NFPW) in 2016. Hew newest book, Miguel and Michelle Visit Spaceport America (Rio Grande Books), won the Young Reader’s category of the 2017 New Mexico-Arizona Book Awards. You’ll find Loretta at her websites SpaceBucketList.com, NMSpaceHistory.com, SpacePioneerWords.com, and AuthorHall.com. For a look at her books, visit her Amazon author page. 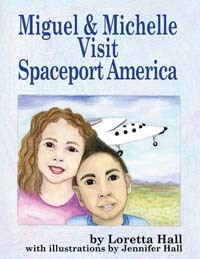 Tell us how Miguel and Michelle Visit Spaceport America, your first children’s picture book, came together. My publisher actually suggested I write the book after a New Mexico Library Association conference where librarians were asking for such a book. It didn’t take long to write, partly because I had been following the spaceport’s development for several years. I did take my daughter on a tour to the spaceport just before we started working on the book so we would have the most current information and so she could see the spaceport and its environment first hand. The illustrations took longer than the writing did, but Jennifer and I had worked with the publisher early on to discuss the illustrations. It all went pretty smoothly. Since I’d never written a children’s picture book before, writing with the appropriate vocabulary, sentence structure, and style was challenging. How did you decide who the characters would be? I wanted a girl and a boy, one Hispanic and one Anglo, to appeal to the broadest audience. The names just seemed to fit and to complement each other. I also wanted to be sure to treat the male and female characters equally and avoid gender stereotypes. Seeing the book published and available to my target audience was rewarding. Another exciting part was collaborating with my daughter, Jennifer Hall, who did the illustrations for the book. We hadn’t worked together on a project before, and seeing her artwork being praised has been rewarding for both of us. Do you have a favorite image or page spread from the book? I love the fanciful images that illustrate the characters’ imaginations. My favorite is the rocket-riding Batman on page 36. Was there anything interesting you discovered while doing research for this project? The tour I took to prepare for writing the book was the first one with access to the visitor center in the spaceport’s terminal/hanger building and its interactive exhibits. Jennifer and I had a ball riding the two-person G-shock trainer. It’s like being inside a gyroscope, spinning in three directions at once. What do you hope readers will take away from Miguel and Michelle Visit Spaceport America? My main goal was showing kids (and their parents) what is going on at our spaceport in New Mexico. Many people think it’s not in operation yet, and others don’t realize tours are available. And for children (and the adults in their lives) who live far from Spaceport America, the book allows them to see the facility in a limited way. Of your eight published books, which one was the most challenging and which was the easiest to write? Miguel & Michelle Visit Spaceport America was probably the most challenging because I hadn’t written for that age level before. 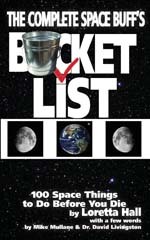 The easiest was The Complete Space Buff’s Bucket List because it’s a small book with relatively little text. The research I had to do to find 100 interesting “space things to do before you die” was challenging, though, as was finding good photographs to illustrate them. Do you prefer the creating, editing or researching aspect of a writing project? I love the researching part, I like writing about it in a creative way, and I tolerate the editing aspect. When you tackle a nonfiction project, do you think of it as storytelling? Yes, I do. Storytelling is the best way to get people interested in the book’s content. In Out of this World: New Mexico’s Contributions to Space Travel and Space Pioneers: In Their Own Words, I really tried to write about people’s experiences with working on space programs, not just the programs themselves. I’m starting to write the memoir of a very special woman who has had a groundbreaking career in aviation and is continuing a fifty-year quest to go into space. Find out more about Loretta and her writing in her 2016 interview for SouthWest Writers.